Selah Global™ is a full featured multi-currency accounting program in which all revenue and expense transactions can be converted to a base currency. Many accounts can be implemented with each having a separate revenue stream. In addition, there is a donor module with an acknowledgement log and a record of all past correspondence to each donor. Expenses can be mapped to multiple agencies for seamless expense reporting compliance in the agency’s currency. The digital image of expense receipts can be imported with the transaction so they can be submitted with the agency report(s). Trip log and mileage log functionality is included to provide record keeping for USA taxes. This full featured program has the structure in place so that a future upgrade will allow receipt images to be imported from a mobile platform. 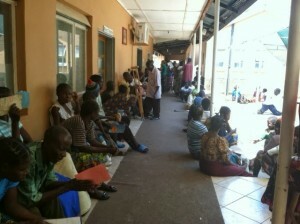 One other solution I have developed is the Africa Medical Tests program. It is a single-user solution used at the Chitokoloki mission hospital (in Zambia) to track patient biopsies, images, results, and needed follow-up. The program can also be used for ultrasound images.